This Rewadee Siriwila movie page contains 3 records. 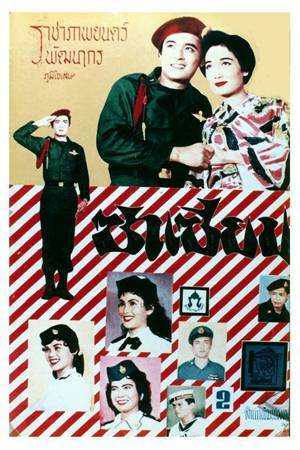 Thai movie สันติ-วีณา (Santi-Vina) was considered as a lost movie during many years. It was finally discovered again, restored and available in full length of 113 minutes. In year 2016 it was shown during Cannes Classic section of the 69th Cannes Film Festival. 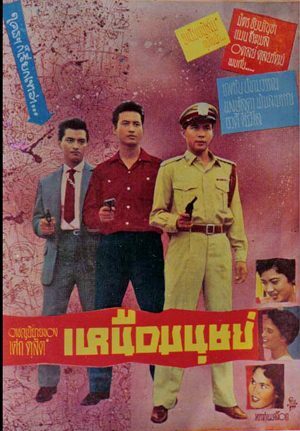 It was the first 35mm Thai movie ever realised. 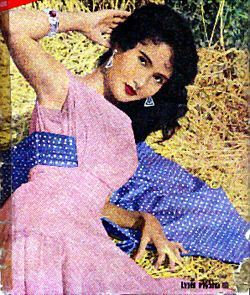 It was produced by หนุมานภาพยนตร์ and directed by Ratana Pestonji in year 1954. Movie Santi-Vina entered Asia-Pacific Film Festival in Tokyo and got three awards. It was the first Thai movie to participate to overseas movies competition and to get award. When back to Thailand, the film couldn't enter due to tax issue. So it was sent to England and got lost! Luckily it was found again in year 2014 in England in the British Film Institute and also in Russian and Chinese Film archives. Santi-Vina was the first Thai movie to be shown in mainland China. A film researcher found that the movie "Santi-Vina" had been sold to Russia and China in the 1950s and was released in those countries. Thai Film Archives kept also a poor quality copy. The restored movie has a colorful and crisp HD image. Santi-Vina movie was released by Thai Film Archives in year 2017 under DVD format. Santi, a poor 10 years old blind boy, is living with his father. Vina, a young girl, takes a pity on him and tries to protect him from the harassing of another boy called Krai. Vina brings Santi to school. Santi’s father sends him to stay with Luang Ta, a respectable monk, hopefully that he would learn the Buddhist lessons and by doing good deed, he could regain his eyesight. When they have grown up, Santi and Vina (Rewadee Siriwila) become lovers during Loy Krathong festival. By seeing the flower given by Vina in Santi’s hand, the monk understands there is no ending to human suffering. If Santi regains sight one day, the monk wishes he would join the monkhood but in his mind, Santi is thinking about Vina only. Seeing Vina and Santi together, Krai feels jealous because he also loves Vina. Krai asks his parent to arrange a marriage proposal to Vina. Vina’s parents are convinced as Krai’s father is the village leader. The love story with a blind man (ไอบอด) is impossible as he will not be able to care about his wife. Nevertheless Vina doesn’t love Krai so she decides to run away with Santi. Krai tries to stop them at the temple cave but during the fighting, Santi defeats him. However, they are finally caught as trackers are using horses and Santi is severely beaten by Krai. On the day Vina gets married with Krai, Santi feels very sad and decides to get suicide by heading to the cave where big rocks often fall. Luang Ta loses his life in order to save Santi’s life. Santi’s eyesight is miraculous cured but he realizes that life has no more meaning as he lost Luang Ta. Reminding Luang Ta’s comments, Santi reaches real happiness in life is by entering the monkhood. He knows that love together with Vina is no longer possible. In 1976, Pestoni's son Santa remade "Santi-Vina" as a tribute to his father. This remake is currently in poor condition.